Currently, you can lock down days in the Company Planner for the whole company. Changes have been made so that now you can now lock days down in the Company Planner for certain Locations and Departments. This will block any Holiday or Leave requests being submitted but wont affect any previous pending or approved leave requests. 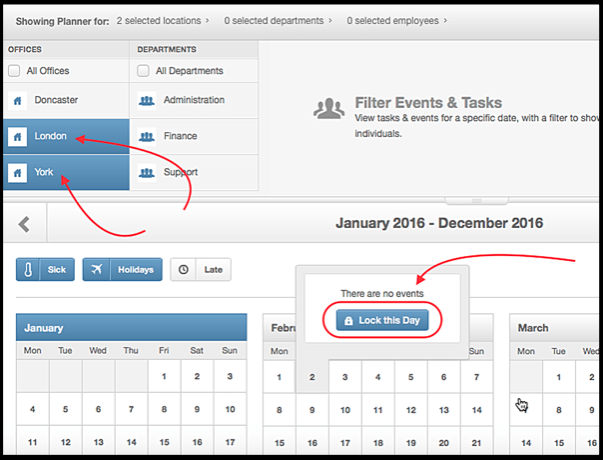 Using the Filters option at the top of the Planner allows you to specify the relevant Location(s) and/ or Department(s) that you can lock the day for. Another change to the Company Planner is to the filters. 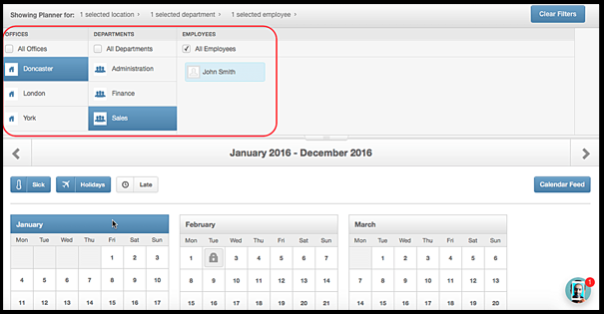 Employees and Managers can now filter based on the relevant company, location and department that they have access to. Changes to the company planner options now include the possibility to allow Employees or Managers to view Department Events, excluding or including sickness. This is found in the main Settings Menu under Company submenu. 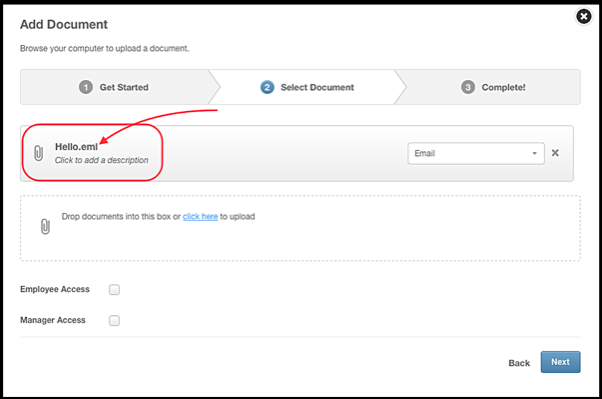 You can now upload .eml files into any section where you can upload documents (Employee Documents, Logbook screens, Company Documents etc. You may know that you can add web URL links to the Company Documents Section. Well, now you can add URL links into the Employee Documents section too! Another enhancement to Employee Documents now allows you to add a category filter option to a document or URL just like you can in the Company Documents Section. You can now have multiple types of leave to be entered onto one day. E.g. Half day Holiday and half day Other Leave. Other Leave can be entered as 0.5 or in hours, making sure that the half day equates to half the amount of hours worked on that day. 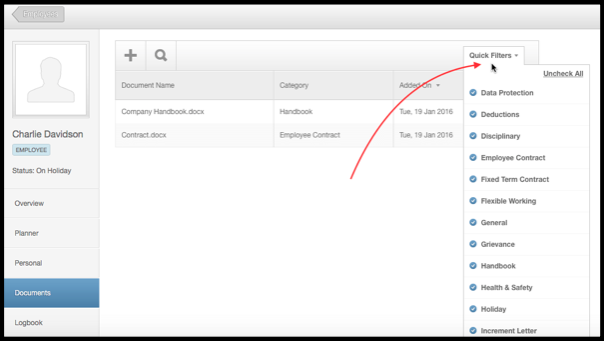 In addition to hiding employee salary and contact details from their manager, you now have the option to hide date of births too. This can be found in the Settings menu under a new option Called Employee. Within the Employment tab in the Employees record, you have an option for Probation End Date. In addition to this we have now added a new option to add a Next Review Date for the extension of probation. This will also be found in the Query Builder if reporting is required. When processing someone as a leaver, you now have a new field, which allows you to enter the Date of Resignation, again also found within the Query Builder. •	[[Additional Reports To]] - This will show the name of any additional reports to on the employees record, If there are more than one additional reports to, the system will recognise this and separate them by a comma. •	[[Probation End Date]] - This will take the probation end date from within the Employees employment tab. •	[[Next Review Date]] - Again this will take a the Next Review Date from within the Employees employmenttab. •	[[Current Total Annual Salary Reason]] - This option will show the reason why a total annual salary waschanged. •	[[Resignation Date]] - This will take the resignation date from within the leaver wizard. 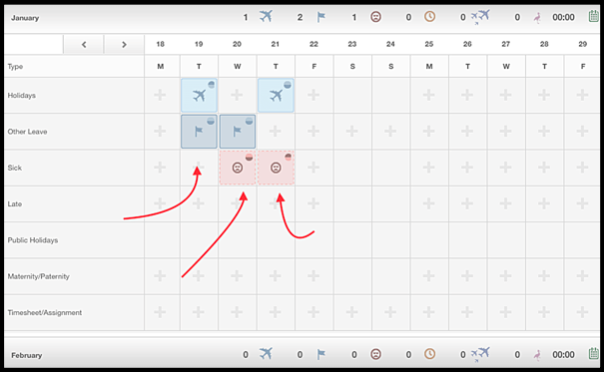 •	[[Working Pattern]] - This option will take the employees current working pattern from within the planner. We now have an effective date pop up occur for Company, Location, Department, Employment Type and Reports To. This will now allow a point in time report to be generated. 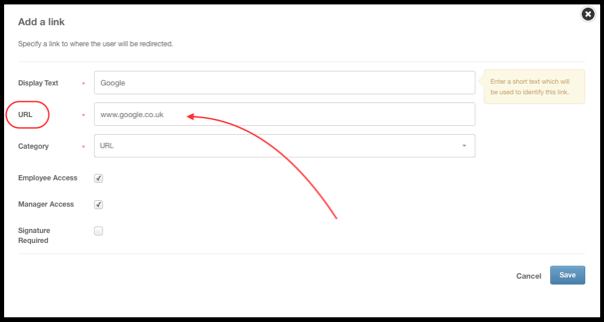 Within the Query Builder, a new option under a Date Filter is now available called As-At. The As-At date filter will pick out the record that is in effect at the date selected. For example if you want to know which location everyone was at on 1st January 2016 you could query on the history table and select Field Name = Location and filter the Effective date As-At 01/01/2016. You will now be able to add employee photos via an API call. You will see a new option on the employee API called 'Add Employee Image By ID'. **Note that doing this will replace any existing image. A new option within Company Settings has been added for the Webhook URL. 1. If you are sending an email to an employee and wish for them to receive the email and also upload this to their documents section with People HR, simply ensure that the To Field contains the employee's email address (which is on their record in People HR) and also enter inbox@peoplehr.com into the BCC field. 2. If you have already sent the email previously and do not wish to send it again, you can still add the email to the employee's documents. To do this, simply ensure that the To Field contains inbox@peoplehr.com and the employees email address is contained within the Subject field. 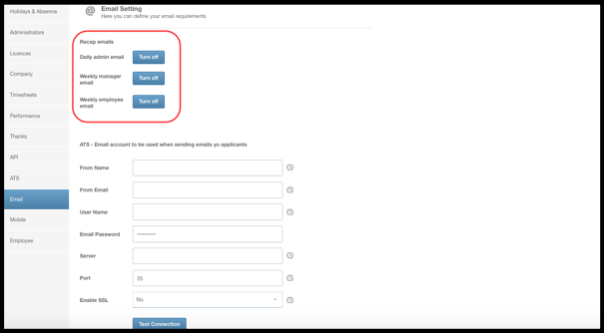 With these options, the email size cannot exceed 15MB, only administrators have access to the email and the signature required button is not checked as default. There are a few changes to the view of the Settings section. Email Settings now include the daily recap email options and the ATS email settings. The previous Logbook setting section has now been renamed Employee and holds things such as Manager Can See Employee Salary and predefined Logbook options which can be turned on or off as required.